Te Puia is one of the worlds most beautiful and exciting geothermal areas. You will encounter geothermal activity. Such as bubbling mud, pools of boiling water still used for cooking and the stunning geysers. At Te Puia you can see live kiwi close up and learn what we are doing to protect theses extraordinary endangered animals. Te Puia also has lush native bush that you can wonder through as you learn how Maori use native plants for food, medicine and handcrafts. Te Puia houses the New Zealand Maori Arts and Crafts Institute, Established in the 1920s to promote and foster all aspects of Maori culture. Our ancestors craved and wove beautiful items, both functional and decorative. 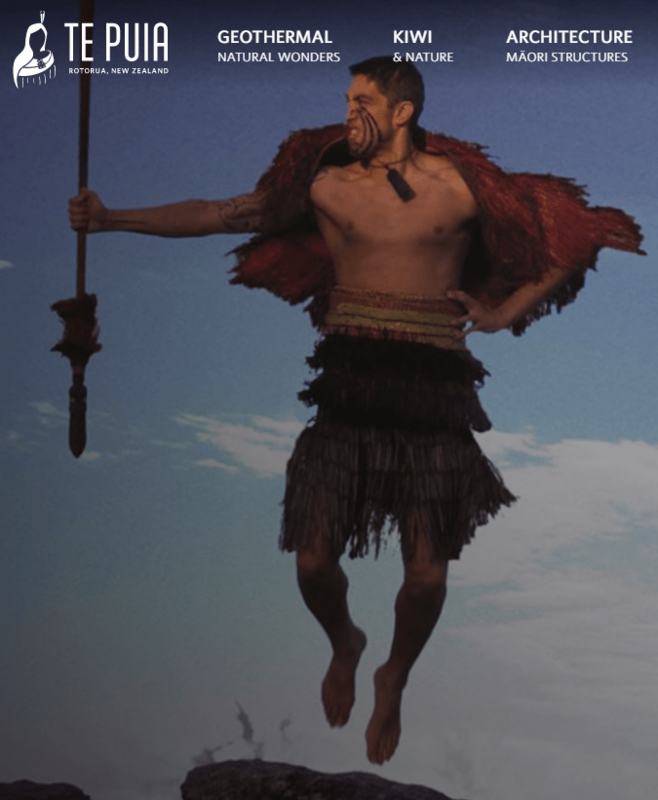 At Te Puia, national schools of carving, weaving and pounamu train talented students from around New Zealand, under the guidance of masters, many of whom trained at the schools themselves. For centuries, Whakarewarewa has been home to the Tuhourangi – Ngati Wahiao people. They have proudly shared their history and heritage with visitors, dignitaries from around the world since the mid 19th century (1800). 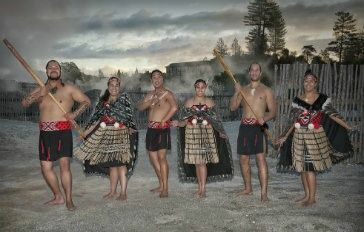 We invite you to share our story – meet the people experience the sights and observe a unique cultural way of life set amongst the village, geysers, hot springs and mud pools that is Whakarewarewa. 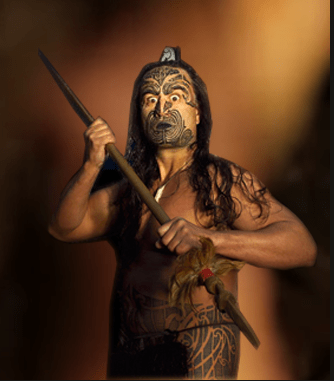 Mitai Maori Village offers you an authentic introduction to the Maori culture leaving you amazed and in awe. Witness warriors in traditional attire paddling in an ancient warrior canoe, view glow worms in their natural habitat and marvel at the sacred freshwater spring. View your traditionally cooked hangi meal being lifted from the ground. Be captivated by the displays of weaponry and combat, coupled with the grace and beauty of the poi dance. 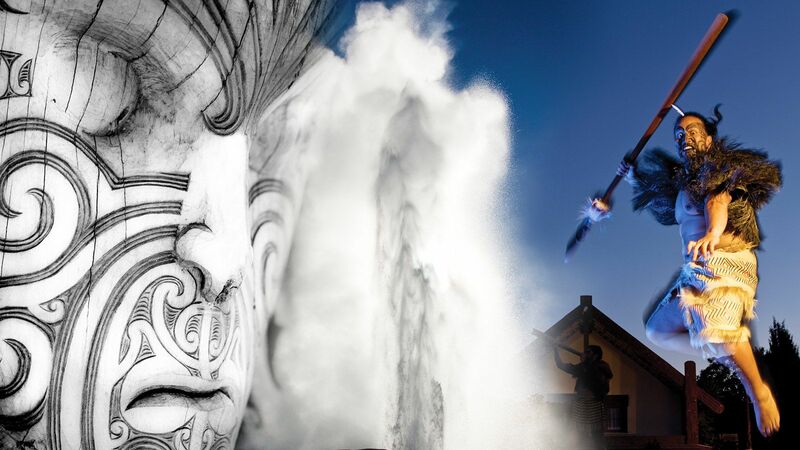 You’ll learn about our past, carvings and ta moko (tattoo art).